With a five-star safety rating from NHTSA and good reviews from IIHS, the 2018 Chevrolet Cruze finds many ways to keep both you and your passengers safe. With Teen Driver technology, ten standard airbags, a rearview camera, and, of course, available OnStar® connectivity, the Chevrolet Cruze will deliver a safe ride on snowy Fairbanks streets. Using cameras or radar, this feature will detect slowing vehicles in your path, and slow down when necessary. Using a high-tech camera system that alerts you when drifting, you won’t have to worry when driving down icy North Pole streets. With this helpful feature, you won’t have to worry if there’s someone in your blind spot: You’ll simply be alerted, and you’ll stay safe. Backing out of crowded parking lots in Fairbanks? No need to worry with this feature. When backing out, you’ll be alerted if a vehicle drives past. Teen Driver technology further deters distracting behavior by muting audio until front-seat passengers are buckled. So you trust the Cruze for its superior safety. 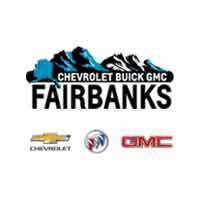 Learn how you can upgrade your Cruze’s interior, and then trust Chevrolet Buick GMC of Fairbanks to make buying or leasing this new Chevrolet breeze. Start the financing process online today.